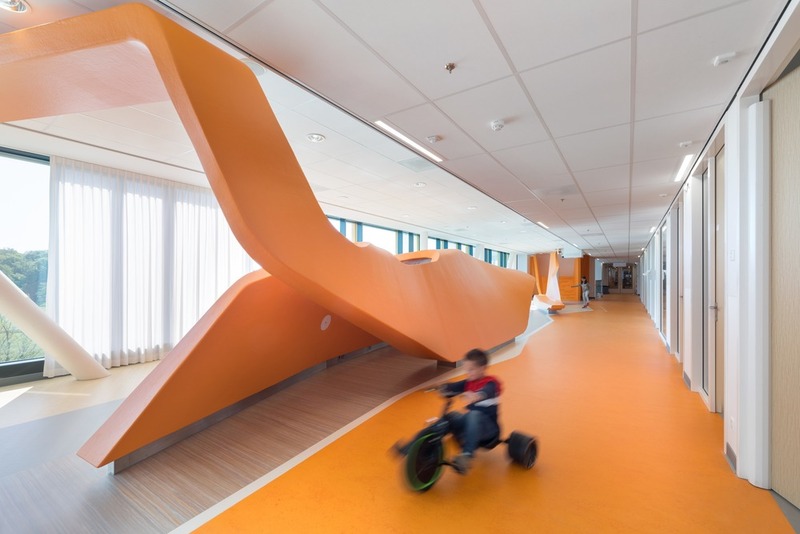 Dutch design practice MMEK’ has designed a new cancer centre for children that supports the centre’s mission of delivering development-orientated care. 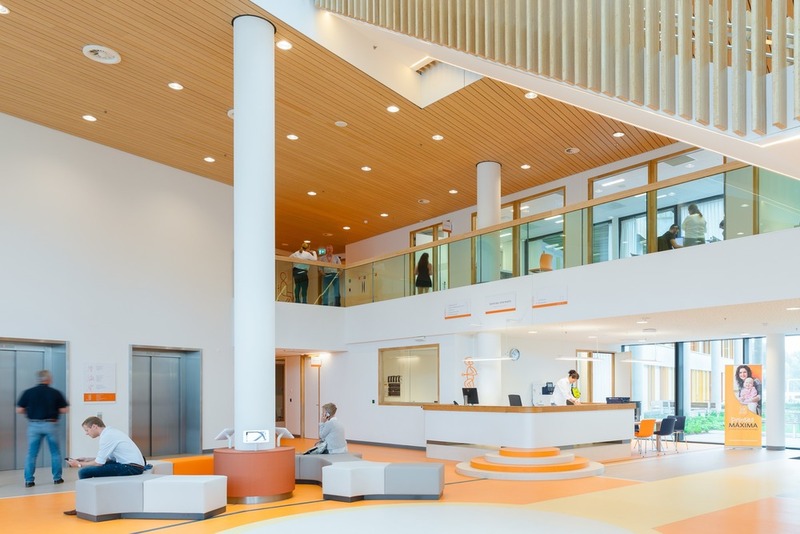 The Princess Máxima Center in Utrecht, Netherlands, aims to be one of the world’s top five paediatric oncology research institutes in the world. 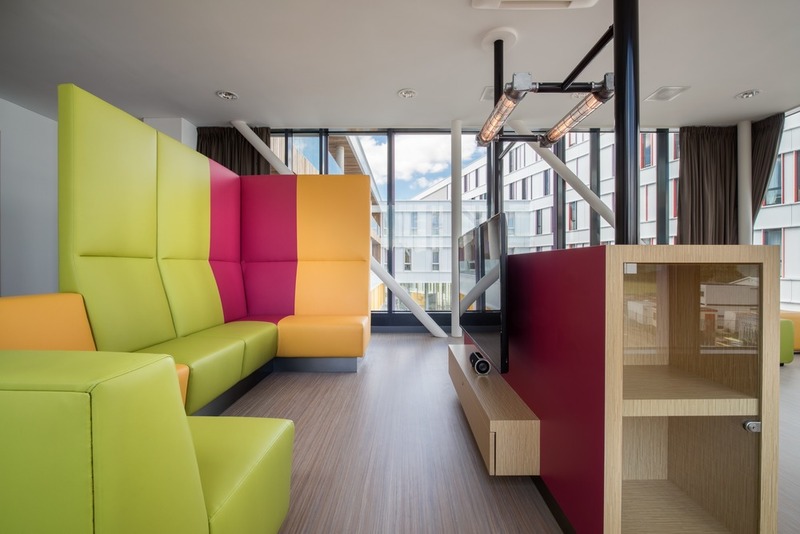 To help realise that aim it wanted a unique interior that would stimulate growing young patient’s cognitive, socio-emotional and motor development despite their illness. 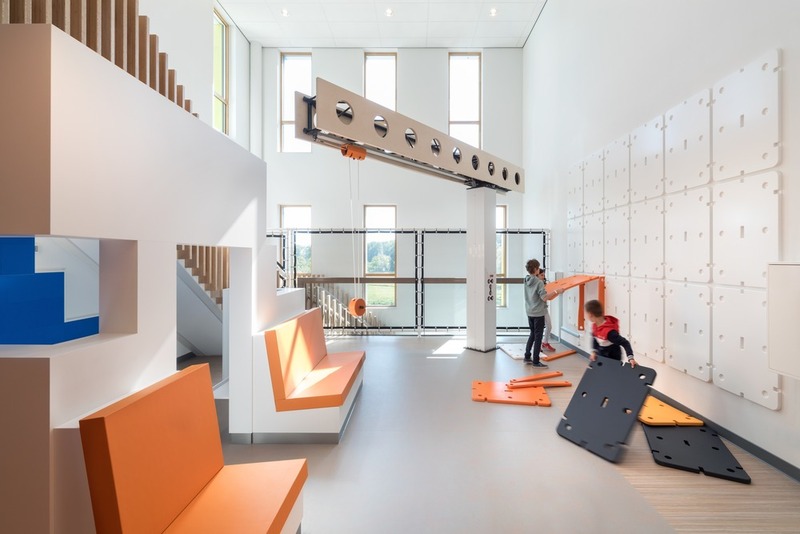 MMEK’ designed a Science Discovery Centre, Building Site and Park, which all contribute to a stimulating environment centred on children and their ongoing development. 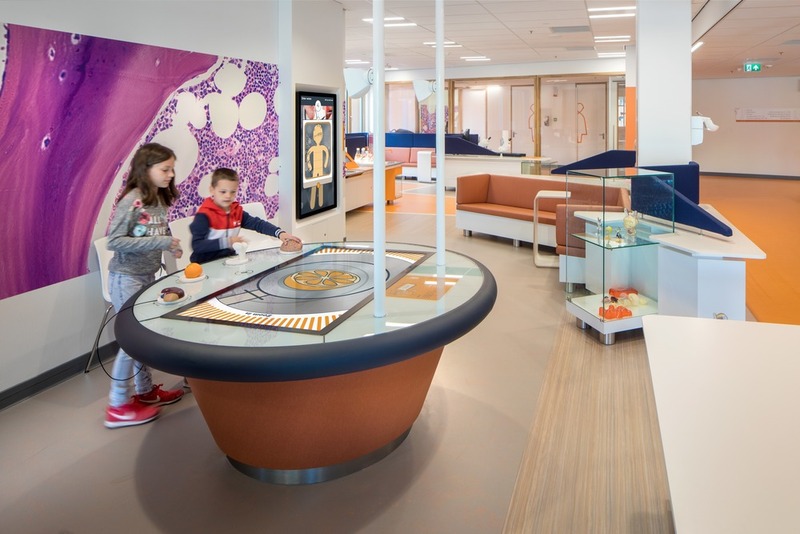 Based on the insight that children are always eager to learn, even when they are seriously ill, the Science Discovery Centre meets that need and also provides a distraction from their illness and improves their quality of life. Meanwhile, The Building Site provides a stimulating and safe environment for patients and their parents, allowing normal family life to carry on as smoothly as possible and giving children a space to continue to develop and play. The most unique area is the Park with a striking shape that meanders through the space. 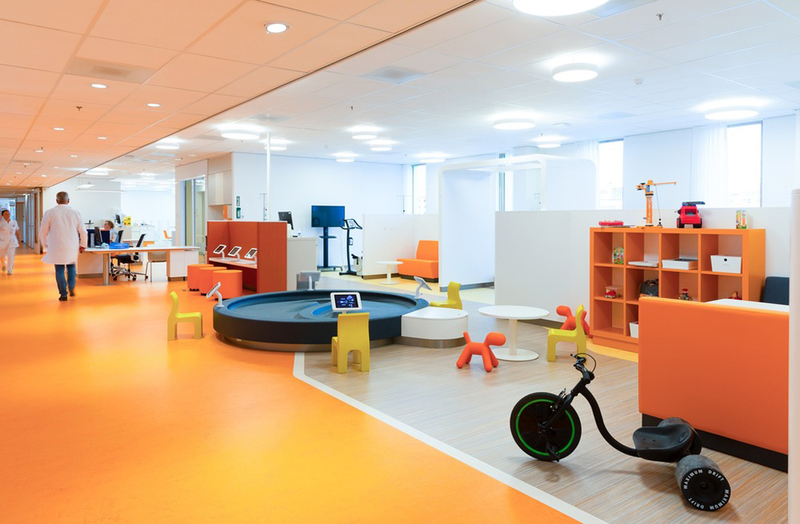 It contains play elements and relaxation corners that encourages patients to move around or spend time with their relatives. Patients with less physical strength are also encouraged to do more exercise here. “The brand identity of the Princess Máxima Center is expressed in all elements of the interior,” says MMEK’. “Its rooms, furniture and toys form part of an integral design. The interior is styled in a uniform manner, which is recognisable throughout the building, making it an understandable and familiar environment.